Higher House Farm was a big setup, complete with a barn, stables and shippons (cow barns). Across the lane on the right and in the corner can be seen the ruins of a cattle pound and a sheep pen. 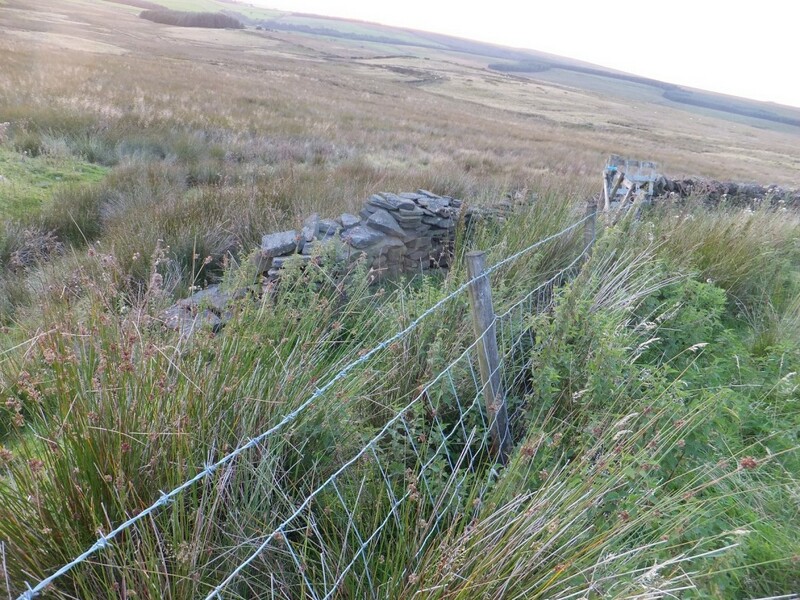 From these a footpath goes south over a ford in the brook, across the slope of the hill, with a sheepfold about half-way, to Lower House, another farm situated on the road at the bottom of the slope from the Bungalow. There is easy-to-see evidence of Higher House Farm on both sides of the road. 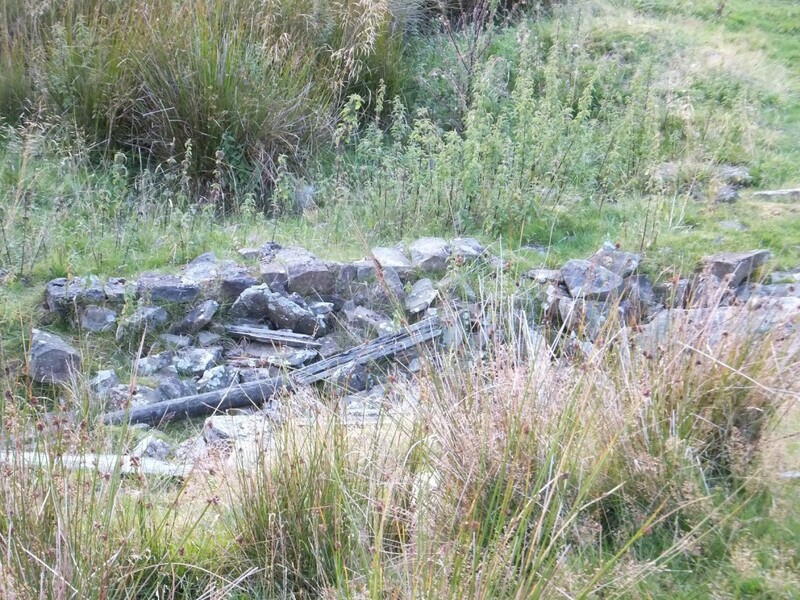 There were two coal outcrop workings in the steep bank of the brook near this ford where the farmers and villagers obtained their fuel in years gone by. Now both workings have been filled in. John Rawlinson, writer of the classic “About Rivington” book where much information was learned, had often wondered how the farmers in the years before the motor age transported coal and other materials from spots like this to their farms and homes, so one day he put this question to an old Rivingtonian and he replied that they had light two wheeled carts, with large diameter wheels, about 3 ft. 6 inches, pulled by one horse and they only carried from five to six hundred-weight at one loading. He was assured that with a Horse reared in the district they could go wherever needed. Higher House doesn’t feature on current maps, but there are bits to see even know. 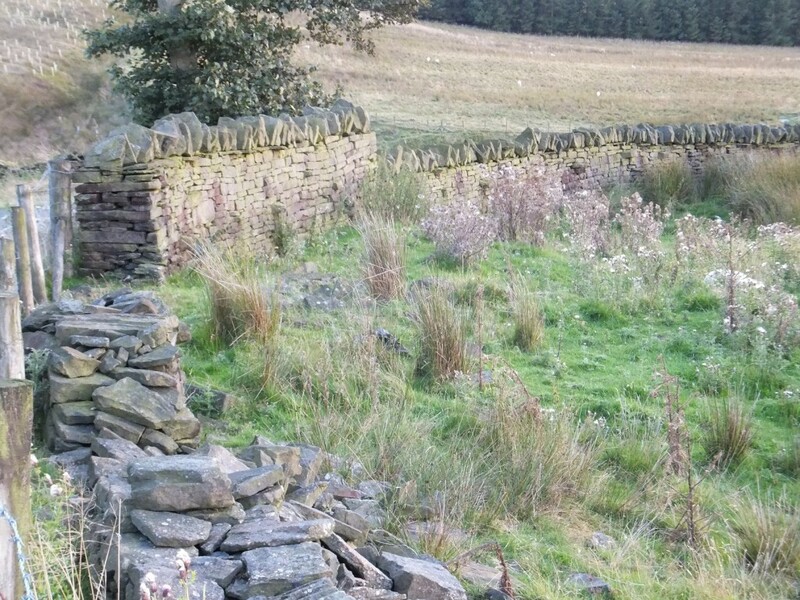 A farm track went straight ahead from this corner to a shallow quarry on the left known as the “Flag Delph”. Here large slabs of sandstone were quarried. This kind of stone would split easily and evenly, thus making ideal material for floors and walls. The track continued past the quarry and goes in a curve to the ruins of a farm which had the strange name of the Comp, the only farm on Rivington Moor. Locally the name is said to be a corruption of the word camp, and here the Romans are said to have had a camp for the soldiers who manned a signalling and observation post on the summit of Winter Hill. Another story is that it was some of Cromwell’s soldiers who encamped here. Layout in 2014 showing the outline of the largest structure. The ruins come close to the fenceline by the road. Clear stone remains possibly of a corner piece. 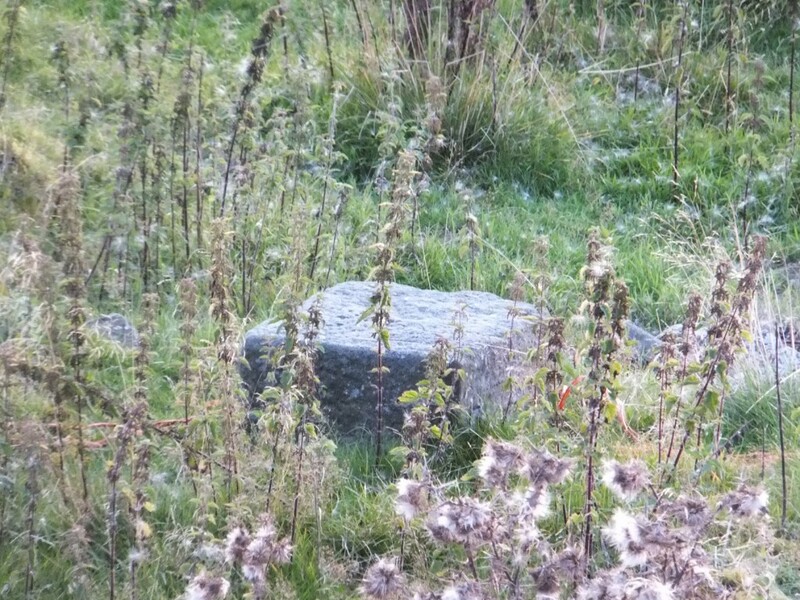 There is still quite a lot of stone present despite much sheep activity. A view looking in the direction of the Pigeon Tower, out of view. There is also a tradition that Viscount Leverhulme was shown this station and that he had the site excavated. Some relics were found and after his death they were deposited in Liverpool Museum. People have tried to track down those who had first hand knowledge of this interesting story, and visited Liverpool Museum for information about the finds, but to no avail. During the late war and for some years afterwards the army authorities laid an explosives store near this corner of the lane and parties of soldiers with tanks came to the district for training, using the derelict buildings of the old farms as targets for the guns mounted on the tanks. I’m trying to place in my head where ‘the comp’is. 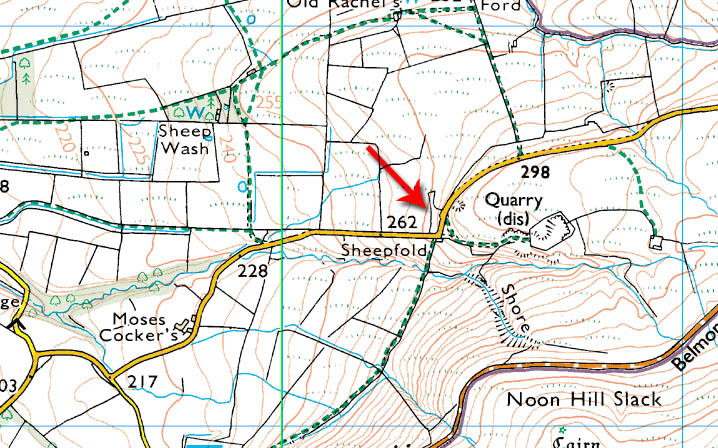 if I was to go up sheephouse lane from the bottom, would it be on the left? obviously the old maps don’t show what we know to be there today. You may mean Combe? 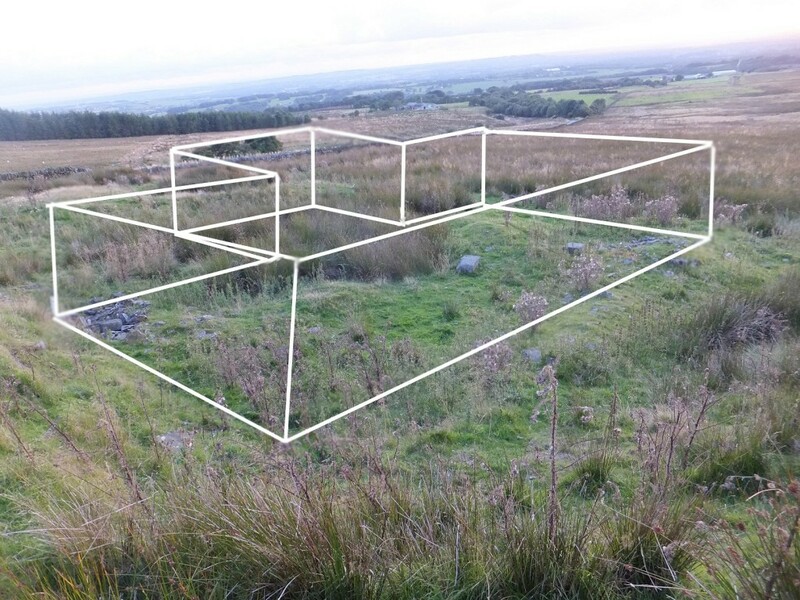 It’s on the opposite side of the road to Higher House – that is, if you are heading out of Rivington, it’s on the right. 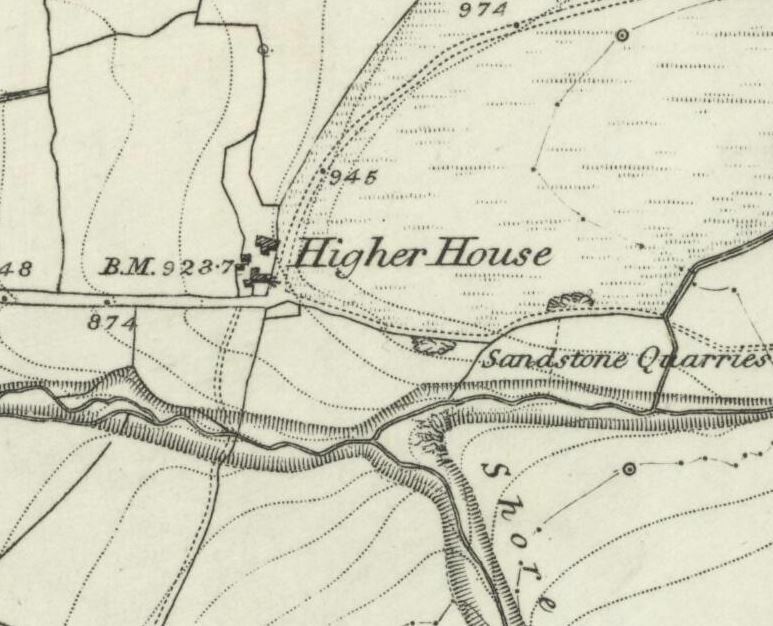 If you look at the first map on this page which points out Higher House, then it’s at the bottom of the furthest right green footpath, to the right of the quarry.